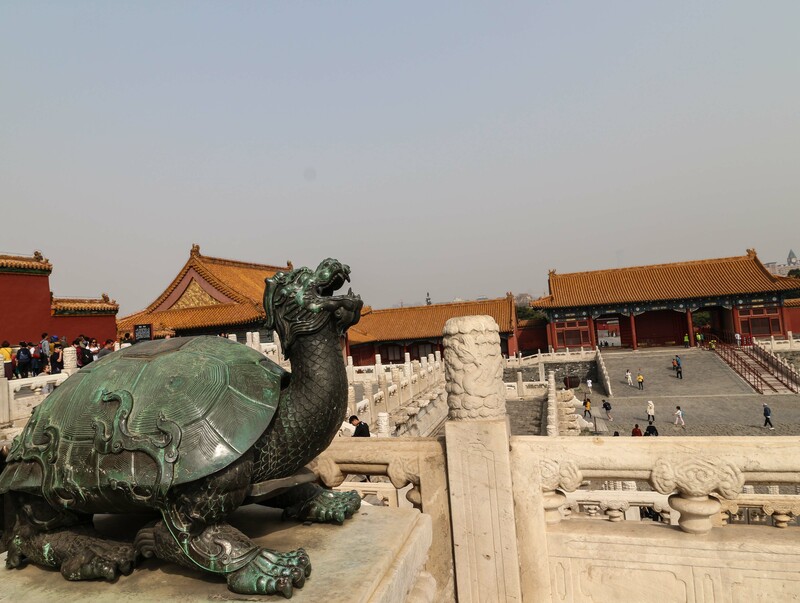 It’s almost impossible to count the dragons in the Forbidden City. 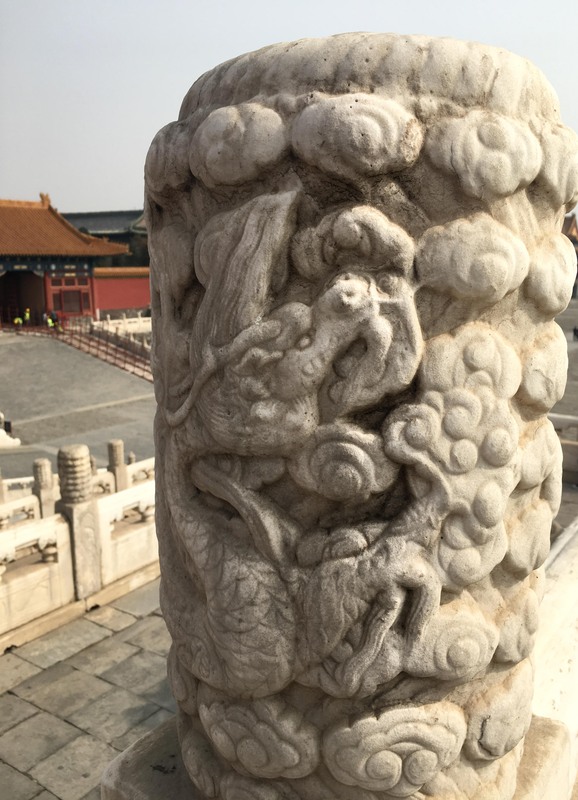 They acted as an unsubtle reminder that the City was the emperor’s domain as the dragon is the symbol of China’s emperors. Residents couldn’t get away from reminders of the emperor anywhere. Quite a powerful psychological trick. Besides the countless regular-looking dragons, there are also some cross-breeds that could easily fit into a scifi novel, like this happy tortoise-dragon cross. 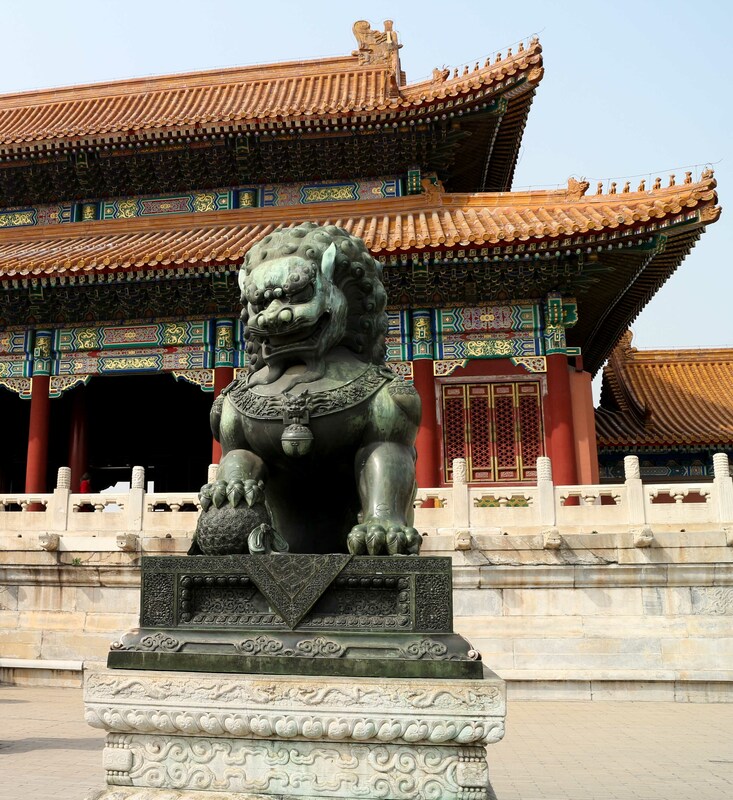 Also hard to miss are the Guardian lions which were believed to protect the palace. This male lion has his paw over a ball, representing the emperor’s dominion over the world. Other female lions play with cubs, symbolising fertility.